March was a whirlwind crazy month where I was swamped with lots of work. I am most happy that I have set in motion something I had planned for years – getting rid of unused and unwanted things from our house on an ongoing basis, key words being ‘ongoing’. Which means I don’t wait to spring clean and do not feed my habit of procrastinating. As both my husband and I, are working together to get into a healthier lifestyle one of the aspects involves yoga,meditation and learning to create and maintain a harmonious home – a zen-like space that is not cluttered and filled with things we will never use. It is almost like a soul-cleansing exercise, that we plan to continue to – clutter you see has a way of building up. It makes managing our space and keeping it clean, easier and we feel so good about donating things that we will never use but will surely help someone in need. With that motto in mind, spring cleaning was actually an enjoyable experience and not the annual nightmare that we dread. This also meant taking a stock of my kitchen and what followed is a series of activities involving labelling, rearranging and donating things to our local food bank too. I was also able to create some really great meals using ingredients that I had forgotten I possess and ensuring that even the most dreary looking vegetable or fruit is not wasted. That is the reason I find all the recipes shared with #creditcrunchmunch this month, hugely inspiring. 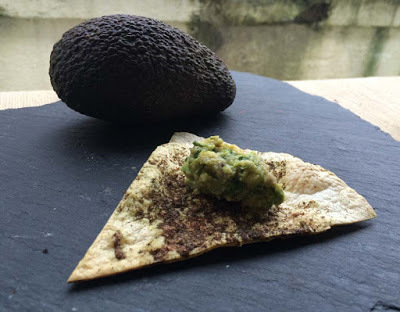 I do hope that you, in turn, are inspired to create delicious meals and inspire others too to eliminate food wastage and work together in creating a more balanced and conscientious society where we respect and value what we have. Potato and Goats cheese patties by Helen whose blog has a very interesting name ‘Roast chicken and a country walk’ , is a smart recipe idea and quick to mak,e also a great way to use up leftovers. 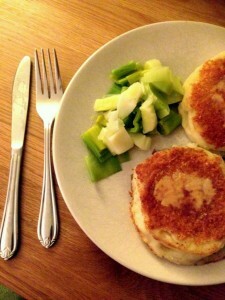 I love goats cheese and these patties are great for a packed lunch too. 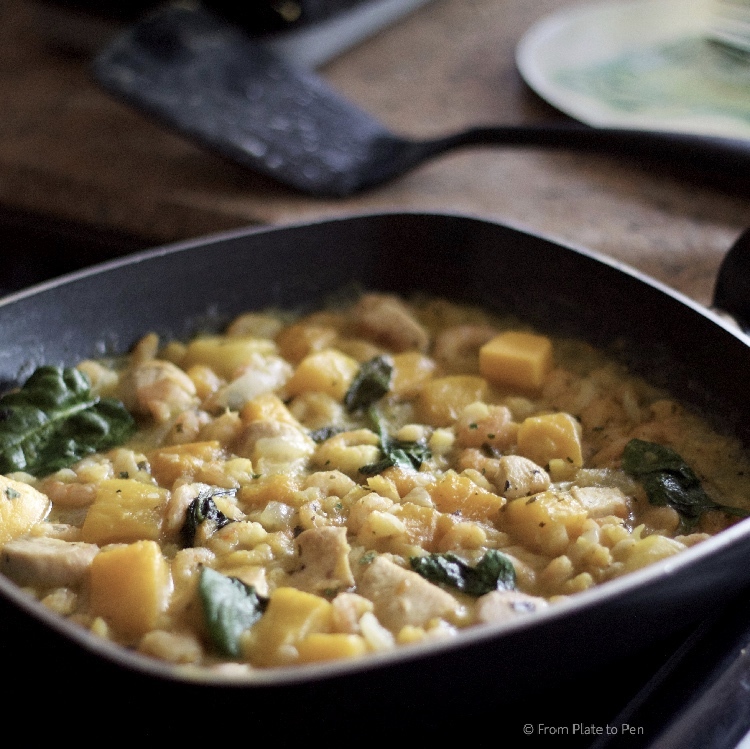 Chicken, prawn and mango curry recipe by Sarah who blogs at From plate to pen, is such a warm and inviting dish. Her post screams nostalgia! Frankly, I would never have thought of adding prawns and mango to a chicken curry but now am willing to try. 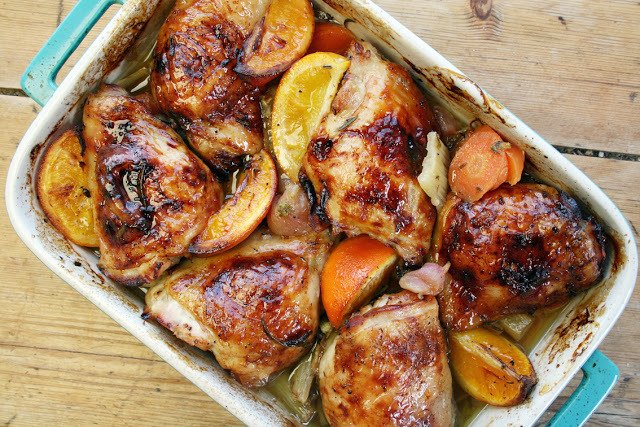 Slow-cooked chicken thighs with orange, radish and honey by Dom of Belleau Kitchen looks so good that I wanted to make it as soon as I saw that stunning photograph. So many gorgeous flavours in that chicken and kudos to him for making it look so easy to put together! 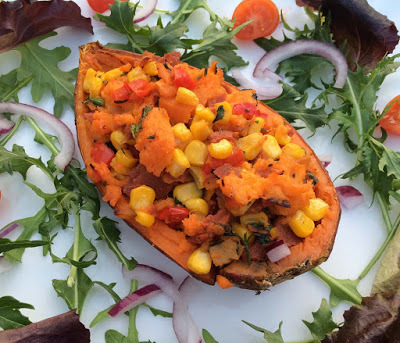 Reggae potatoes by Kate who blogs at The gluten free alchemist are infused with coconut milk. 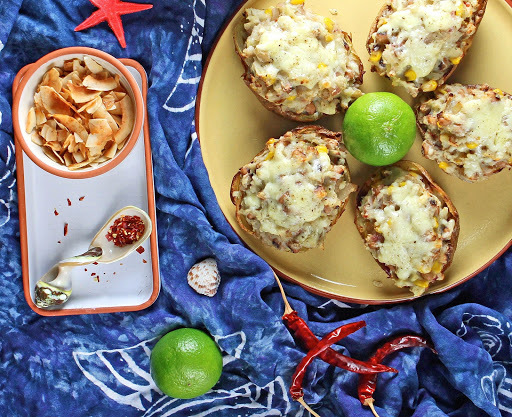 Tropical tasting, delicious crispy potato skins seem so irresistible and a very entertaining post by Kate where she shares how she came about to creating this recipe – a must read! 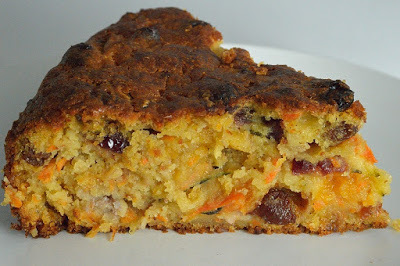 5 a day cake – yes you heard that right cake it is by Michelle who blogs at Utterly scrummy and is mum to two teenagers, a tween and an adorable toddler – Michelle how do you do it?! If you are looking to make a sweet treat and use up over ripe bananas and even carrots and courgettes than look no further – try her recipe now! 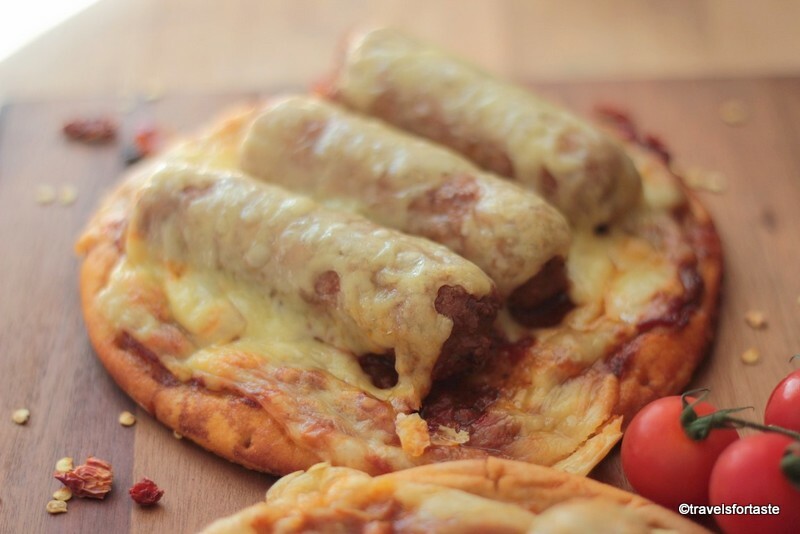 Cheeseless vegan pizza? Yes, please! 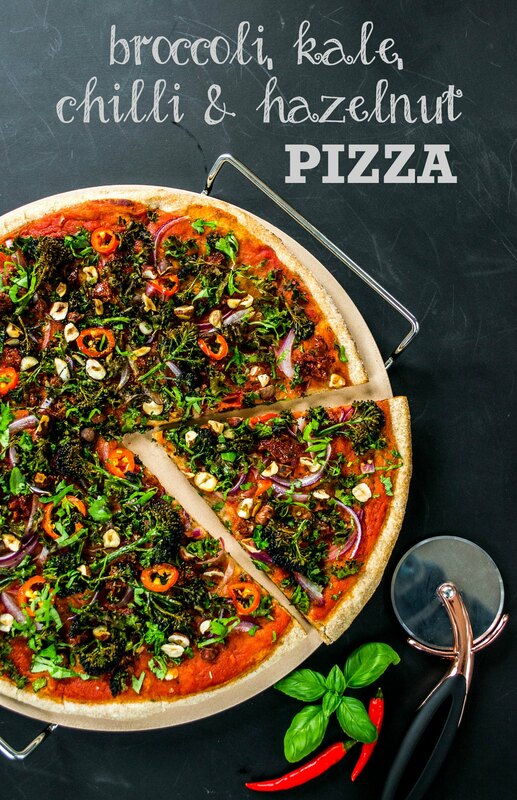 Kate from the Veg space has an easy peasy recipe idea which results in a pizza with crunchy toppings that guarantee you won’t miss cheese – great for all those who are watching calories and want to eat light but don’t want to miss out on flavour or for when you want a pizza night in. 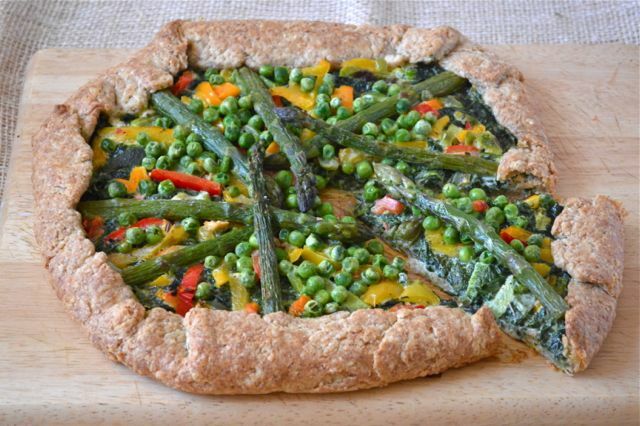 Green vegetable galette with flaky pastry using ready prepped frozen vegetables from Iceland made by Choclette of Tin and Thyme is a perfect example of a speedy healthy meal idea when you are running low on fresh veggies. 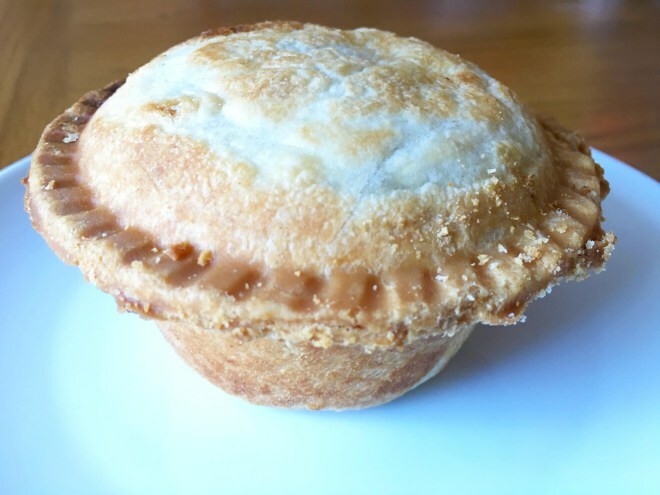 Mince and veg pies made by Jo of Jo’s Kitchen is a lovely recipe idea for using up leftover mince and vegetables. There is scope for creativity here by combining flavours and adding in other vegetables that need using up too. 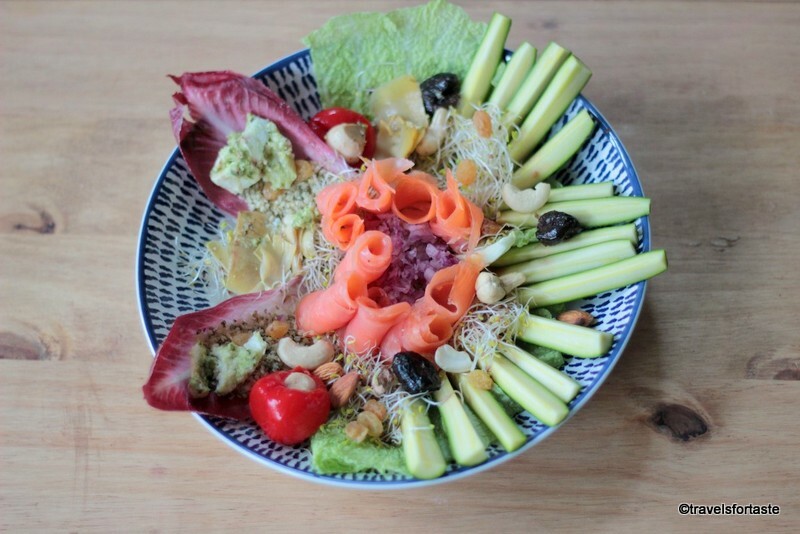 I am trying to lose weight and eat healthily, so I do end up stocking up on many ingredients, so that I can easily rustle up a healthy salad, often that means a lot of lovely ingredients left in small quantities that need using up and fast, this Healthy superfood and smoked salmon salad recipe by me is an attempt to do just that. 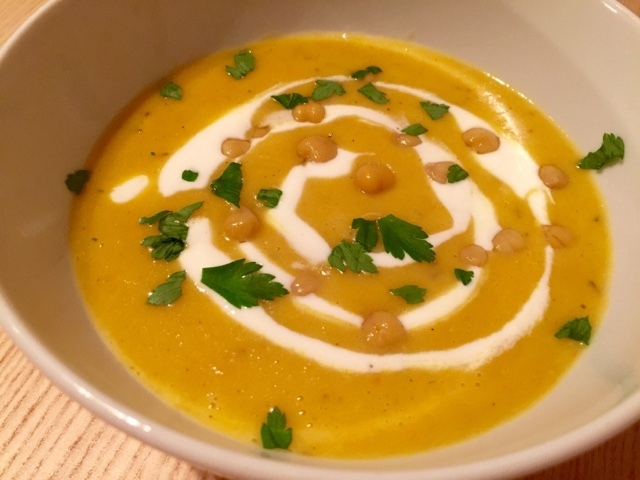 I absolutely love this thrifty and fabulous soup recipe by Hanna who blogs at Arctic Cloudberry, easy to make when you are pressed for time and when faced with an almost empty fridge. Try her chickpea, potato and coconut soup recipe if you are in a similar situation – or not – for a healthy and light weekday meal. 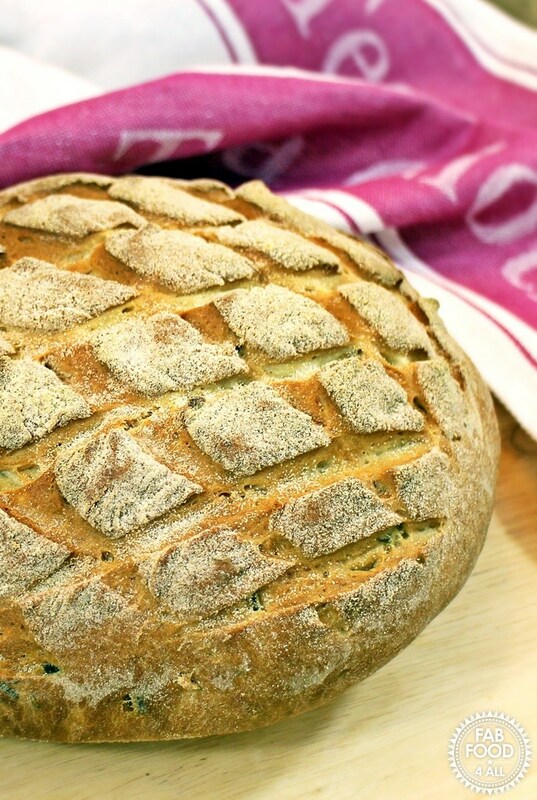 Gorgeous olive and parmesan cob loaf by Camilla looks so tempting I almost want to reach out in the photo and grab some (along with with that chilli red Kitchen-Aid, of course, hehe) .Camilla who blogs at Fabfod4all as you know runs #Creditcrunchmunch along with Helen of Fussfreeflavours. 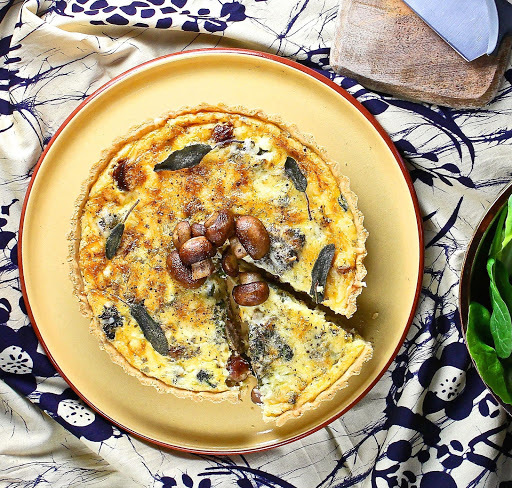 Stunning GF quiche recipe with roast dinner leftovers by Kate of The gluten free alchemist – a very innovative idea and sure to please even the fussiest diner. 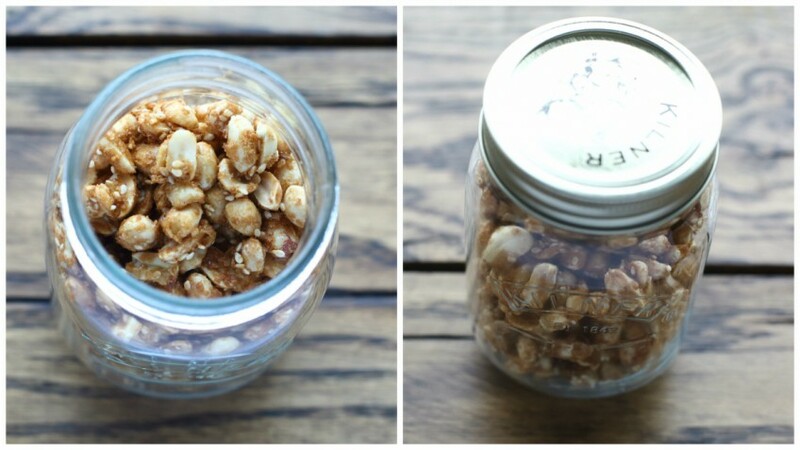 Caramelised Sesame Peanuts by Pro kitchen ware looks so moreish and is for everyone who stores nuts for topping salads and making several jars of nut butter – like I do! I am a huge fan of savoury muffins as is my hubster, in fact when my parents came over to visit last September we often carried a tiffin box filled with them for those odd times when hunger strikes while sight-seeing! 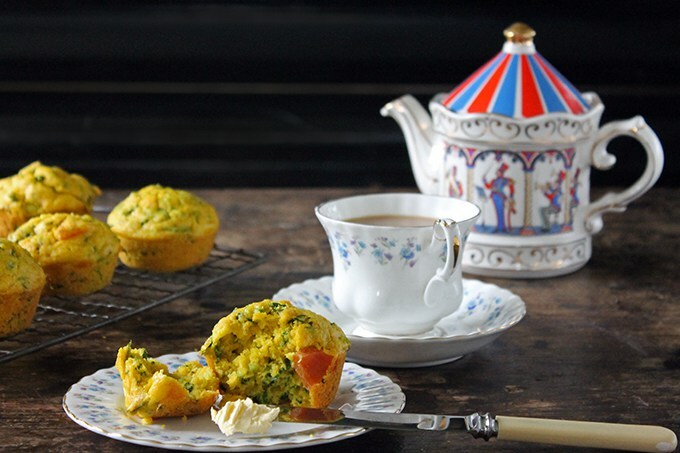 Do try Kate’s thrifty recipe for spinach and cornmeal breakfast muffins over at her blog Veggie Desserts. As an Indian born and bought up in Mumbai in a Maharashtrian family, I grew up eating dals with chapatis for most of my main meals. It is for me the ultimate healthy meal and very easy to make. That’s why this frugal version by The Veg hog is a recipe that I fell in love with the second I saw it. 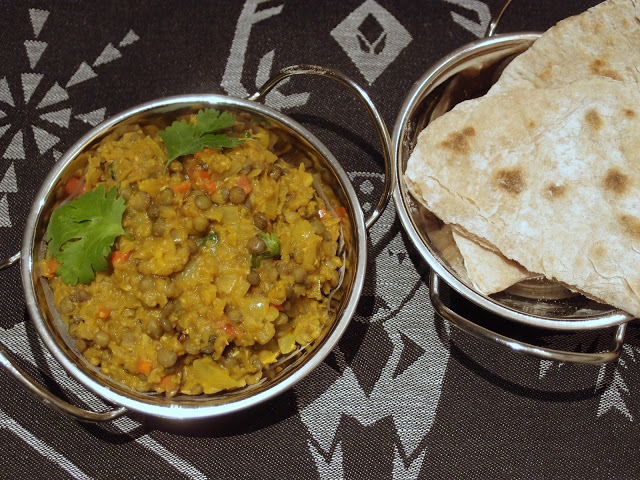 A different way to cook dhal! 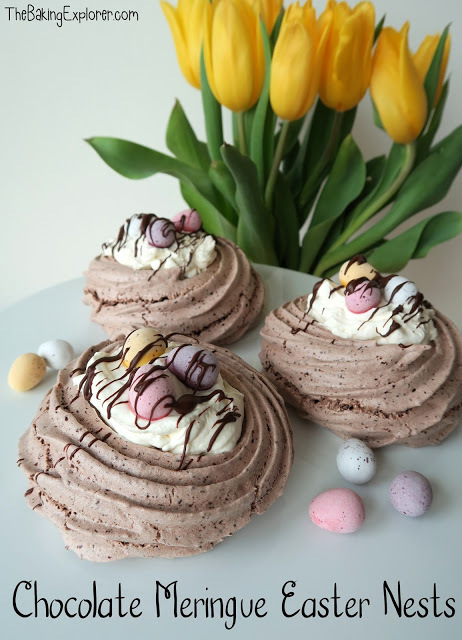 Meringues are irresistible anyway and Kat’s Easter special – chocolate meringue nests make them look oh so very tempting. Check ou the recipe on her blog The baking explorer. Cooking with lamb is great fun and I have wanted a slow cooker for myself for the longest time now. Both reasons why I love this next recipe so much. Hopefully, I shall be able to get a slow cooker soon for my experiments. 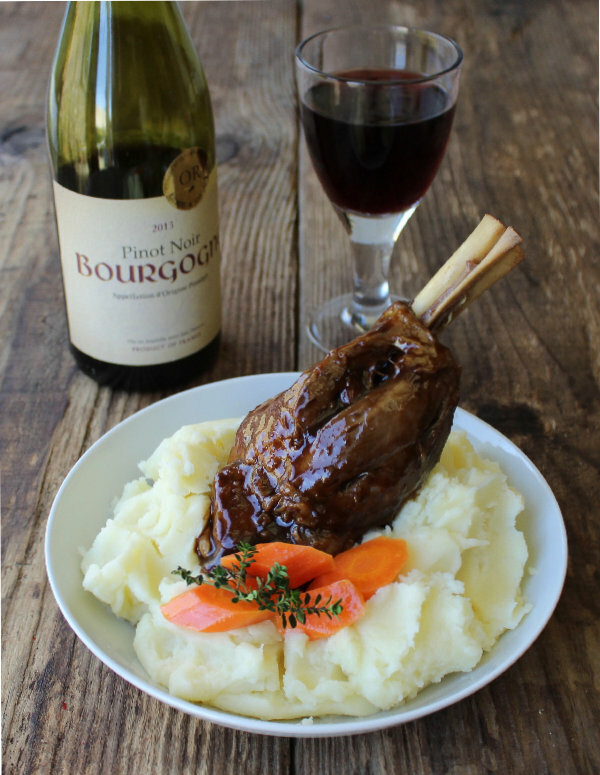 Sarah over Tales from the kitchen shed shares an interesting recipe for slow cooked citrus lamb shanks. 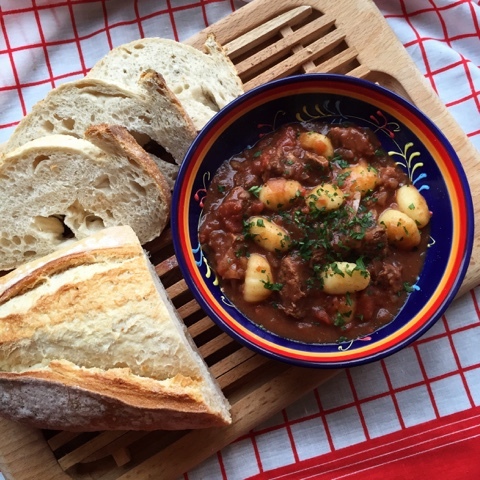 Claire from the Foodie Quine has another very delicious slow cooked meal for us to try – slow cooked beef with gnocchi. This frugal peasant meal will definitely have folks licking their plates clean! 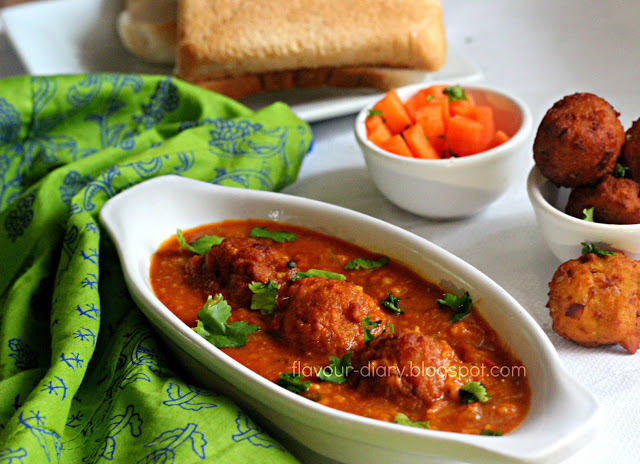 I am very excited about the next recipe and not just because it has koftas but because it has been blogged a very dear friend Nisa. We were neighbours and I dearly miss all the time we spent together over cups of chai discussing food! 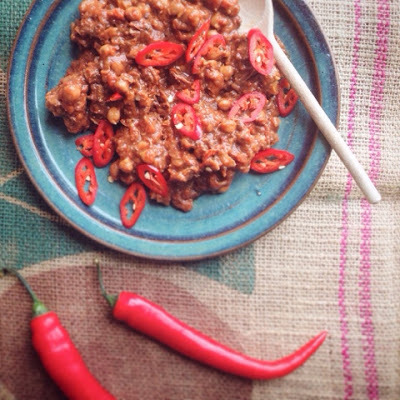 Next up is a spicy beef and chickpea stew with ras el hanout, orange and dates by Emma of De tout cour limousin blog. What a great way to spice up some leftover beef! 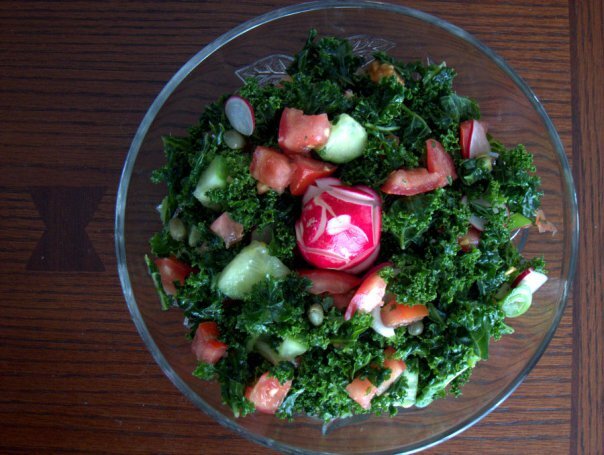 A very refreshing and colourful spring kale salad by Jane of The taste space perfect way to use up any vegetables that are just asking to be used in an innovative dish. 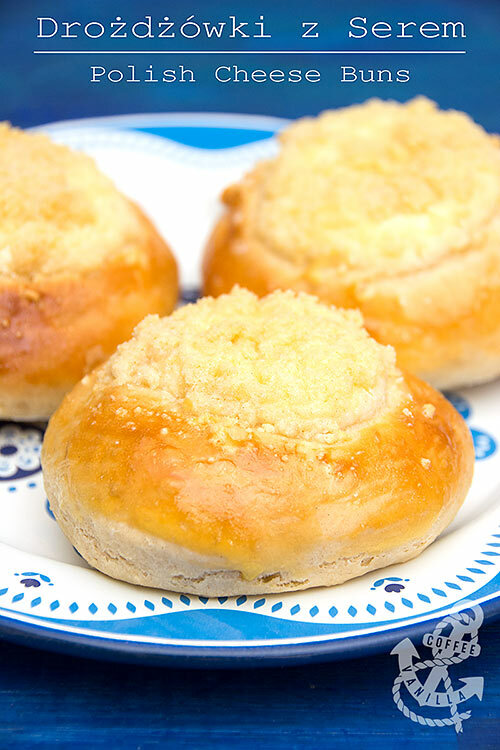 Gorgeous and moreish, these frugal Polish cheese buns by Margot of Coffee and Vanilla blog are such a delicious way to make a tasty snack perfect with a big hot cuppa tea. 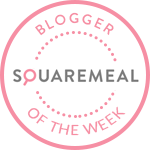 Thank you to everyone for linking up this month and happy cooking to all of you. Hope these recipes inspire everyone to cook more frugal meals and do their bit to stop food wastage. Thanks Camilla, yes we have had a superb round fo entries, was so much fun hosting! Thank you so much for hosting, its most appreciated. I loved hosting too, it is fascinating to read all these amazing recipes! 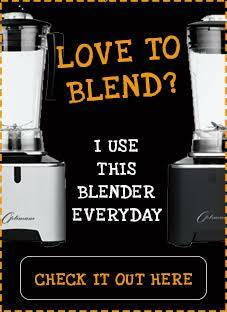 Wonderful round-up I will try some recipe and get back to you review from my family, thanks for sharing. Thanks Snehal, hope you and your family enjoy the process of going thrifty!